Manufacturing Quality Residential & Commercial Greenhouses for over 70 Years. 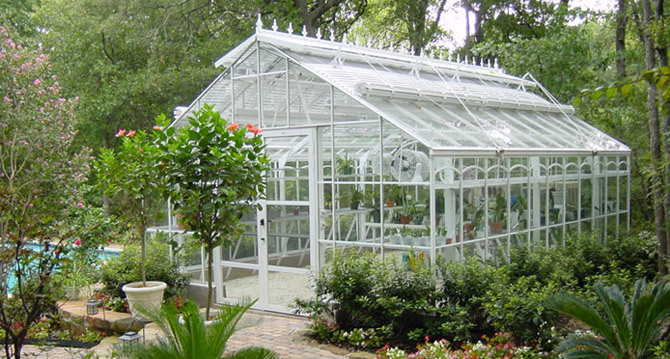 When it comes to greenhouses, there's no one better than Texas Greenhouse Company. We've been in the business for over half a century, and our expertise has continued to grow with every passing year. With some of the best greenhouses for sale anywhere, how can you say no? Our American Classic greenhouse designs are built to withstand over 100 lbs of snow and winds up to 140 mph. If you don't have space for a full size greenhouse, try our American Hobby, Lean-To, or Bay Window greenhouse designs. We build our greenhouses with equal focus on elegant design and sturdy construction. You won't find a more beautiful or more functional greenhouse anywhere. All of our greenhouses are designed to meet or exceed building codes. Our greenhouses have everything you could need. All designs come standard with sturdy benches and shelves to grow a wide array of plants. Some have automated exhaust fans, while the American Classic has full-length ridge vents automated by thermostat controls. 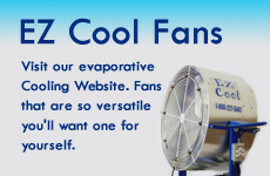 Coolers, heaters, and misting systems are also available for managed temperature and humidity control. For colder climates, we also offer triple-layer polycarbonate panes for the best insulation available. Texas Greenhouse Company has a greenhouse for every application. Whether you're looking for a conservatory for a private estate, or simply wanting to grow a few herbs in the back yard, we have you covered. Our freestanding American Classic greenhouses are available in 9', 13', 15', 17', 20', 25' and 30' widths, while our American Classic Lean-To is available in 6', 8', 10', and 12' widths. Our American Hobby line is more budget-conscious with freestanding models rangeing from 8' to 10' widths, while the Hobby Lean-To styles are available in either 6' or 8' widths. All of our greenhouses can be made to any length you desire. Texas Greenhouse Company is dedicated to getting you the finest greenhouse money can buy. We deliver and install greenhouses all across the country. Our installation professionals know every inch of the design and will build it exactly to specifications to ensure nothing can go wrong. Call for a quote today! © 2017 Texas Greenhouse Company Inc. All rights reserved.